.Leanne Marie. 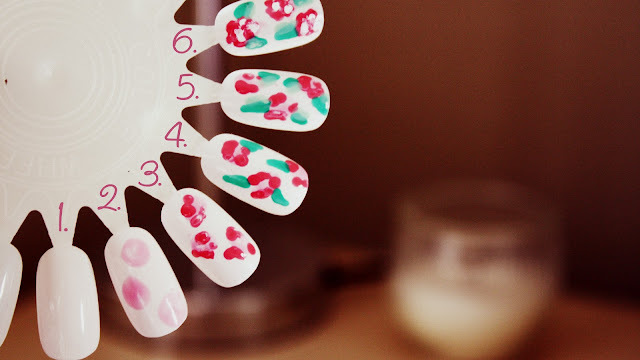 : Nails : How to - Cath Kidston Inspired, Floral Nails. Your tutorial is very helpful, they're really so easy to do aren't they, but people don't realise! Great tutorial, what a lovely cute design. I'll definitely have to give it a go! I'm now following your blog. I'm pretty new to blogging. Hope you can take a look and maybe follow back? These look great, looking forward to following the tutorial and giving it a go! Love Cath Kidston nails! I don't think my nail beds are big enough to try it tho! Aw man I wish I had a non shaky hand and could try and attempt this! You should its so a quick and simple design to do!